I love solving a problem, I get real satisfaction from finding a solution to challenges that face me. When I met Yvonne Brady an Irish business woman she took my breath away with her story of problem solving on another level entirely. An engineer by trade she took up running as a hobby and like many women found that leaking a bit of urine was an embarrassing side effect. Rather than moaning or giving up she decided to take action. Her solution; a pair of sports shorts designed to mimic and add to your own pelvic floor muscle support. As a GP I see women with bladder leakage all the time and I know how it can be an enormous barrier to women doing exercise. The concept that engineering calculations and design could be used to solve this important problem really caught my interest. I was keen to find out more about the shorts and the woman behind EVB Sport. When you started training as an engineer did you ever think you’d be designing sports wear? My first choice was to study physiotherapy. I always loved sport and fancied the idea of a career in it. I narrowly missed out on the points for physio so I chose to be an engineer instead as I had a real love of maths too. I suppose the training we received in Trinity, to look at things differently and problem solve has stood me in good stead in my new career path. In a roundabout way I’m fulfilling my dream; working in a sportswear company that is physiologically focused. The human body is so complex and fascinating. I could spend all day everyday reading anatomy books and talking to the professionals to find out how things work. How easy was it to apply your engineering skills to design support for something as complex as the human body? I could ‘see’ and ‘feel’ the solution once I experienced the problem immediately. The difficulty was in communicating what I wanted to people in terminology and technical language I didn’t quite understand! Once our designer has the basic ‘structure’ right, it was then a matter of trial and error with different fabrics and methodology to achieve just the right amount of support. We have been very fortunate to have worked closely too with some amazing physiotherapists namely internationally renowned Maeve Whelan from Milltown Physiotherapy Practice, Cinny Cusack Physiotherapy Manager in the Rotunda Hospital and one of the founders of The Irish Incontinence Society, Sarah Plunkett from Bodyright Physiotherapy Practice and Dr Lucy Goldby of Balance Performance Physiotherapy, London’s largest Physiotherapy Practice. Without their support, guidance, advice and expertise we would not be where we are today. Have any trials been done to test the shorts? Dublin City University did trials and they found that over 50% of the women stopped leaking urine whilst running on a treadmill when using our shorts instead of what they usually wear training. 100% reported greater confidence. The Royal College of Surgeons carry out out pad tests and they reported a significant reduction in volume of leakage. Trinity College Dublin have started a clinical trial using our shorts and comparing them with another commercially available sports shorts. The results of these tests should be available by the end of this Summer and we are very excited about this. Light bladder leakage is such a taboo topic. Have you found people are receptive to your product and happy to talk about the issue? The ‘not talking about it’ is a source of considerable frustration for us here at EVB, but as someone who suffered myself, I can empathise with others who share the condition. We do find that a lot of our customers make the decision to buy our shorts because they’ve had enough ‘managing,’ and ‘avoiding’ and they’ve decided to take control. 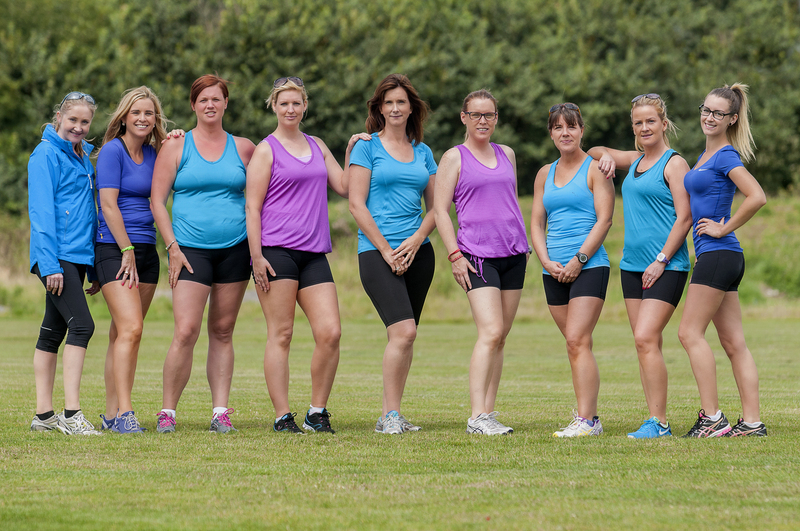 Those women are very confident and inspirational – and the ones who get the best benefits from our shorts do want to talk about it, and they do want to share with others. Many report ‘I can’t believe I waited so long’ and want to encourage friends and family not to delay any longer. I’ve read so much research over the past couple of years on the subject, and one Australian study I read reported that it takes on average 8 yrs for a woman to seek help. Whilst I understand this (it took me a while to accept that I had a problem) it’s shocking that people do suffer so long in silence when there is help available. The percentage of women who can regain full control with the right information is astounding. The pelvic floor muscle is like any other muscle group and needs to be exercised correctly to function properly. Are the shorts beneficial to women without bladder weakness? Good pelvic health is of paramount importance to everyone. The pelvic floor muscles are, to use an engineering term, ‘The foundation of a house’. If there are cracks appearing in the foundation it is a sign of a serious issue that needs to be addressed. Issues like; lower back pain, pelvic girdle pain, prolapse and light bladder leakage are all signs of a weak pelvic floor. Whilst mothers are most at risk due to pregnancy and childbirth many other women can benefit from them; elite athletes from gymnasts, to trampolinists, runners to netball players and anyone playing high impact sports is at particular risk of developing poor pelvic health. This is because of the constant and excessive downward pressure that these sports place on their pelvic floor. Our shorts are being recommended by the top women’s health physiotherapist as the patent pending technology we have devised provides support to the foundation like no other. The shorts prime the muscles enabling them remain in their optimum state allowing you exercise safely. What sort of feedback are you getting from women who’ve worn them? My favourite is ‘you’ve changed my life’ and we genuinely get a letter or email to this effect at least once a week. We get lots of messages saying ‘I feel so much more confident’, and that’s so gratifying, as I myself really understand what these women mean by this. I also love the messages saying ‘I’ve just completed my first 10k (or half marathon, or marathon)’, and these people sound like they’ve written the message just after they cross the line – they sound so ‘up’ and enthusiastic and excited. It’s a real privilege to get messages like that. There are loads of testimonials on our website and on Facebook page too from real women achieving their goals. These women are taking back control and reaching their potential, they’ve listened to their bodies and are taking the necessary steps to ensuring they exercise safely. So you’ve become an entrepreneuse and business woman, how is that affecting family life? Are you still finding time to run yourself? Well I love being an ‘Entrepreneuse’! I’ve never heard the term before, but now I may get a tee shirt printed! I’m lucky to have a supportive family who are very proud of me. However, it does have a very big impact on family life and I do find it difficult, but knowing my husband and 3 children are fully behind me is so important. I do get to run a little – 2 or 3 times a week, and I try to do 10k at least once a week. Not as much as I would like – but not too bad given everything that’s going on right now! Do you have any advice for women suffering pelvic floor weakness? Do not delay 1 second – go see a women’s health physiotherapist. If you’re not sure about which physiotherapist, ask your G.P for a referral. 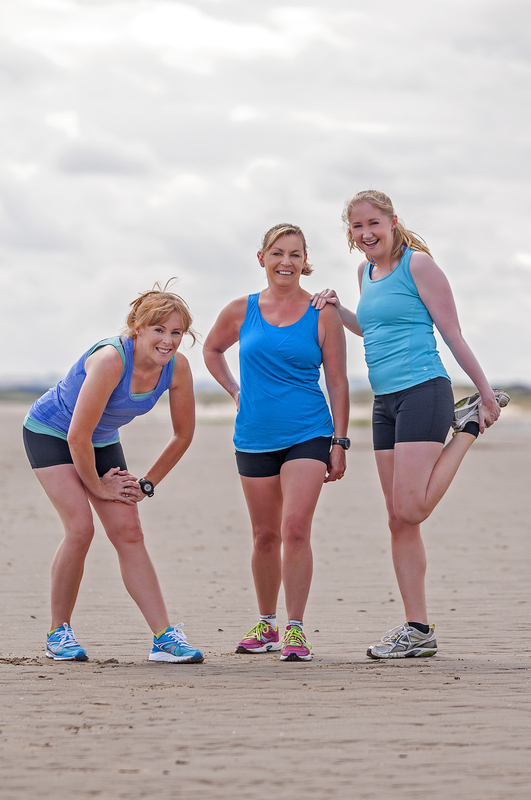 An experienced women’s health physiotherapist can help and really make a difference. Also, talk about it – confide in a friend or family member. You’ll soon find out you are not alone (that was a big thing for me, I literally thought I was the the one women on earth who had this problem). Oh, and get a pair of EVB Sports Shorts! I’m glad I’ve caught this post again. I meant to comment previously as these shorts just sound brilliant. What a fabulous idea for helping women to exercise in comfort. I’m sure these shorts will be an amazing help for lots of women… I’m quite keen to try them myself! 😄 I’ve got a long way to go before I’m anywhere close to pb but I suppose anything to help me on the way… I do think I’ll invest before I start back at my running club. That’s my aim for next month! Also since my blog sort of aimed at new mums getting back into exercise (when I get bit more time to write properly) it’ll probably be something useful to write about – will link back to this post obviously if I do! Now I am even more excited about trying these shorts! Will keep you posted! 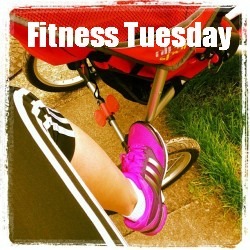 A fab interview, and thanks for linking #FitnessTueday again! I’ve worn them for my last 2 marathons. I’m a big fan! Wow, what an inspirational woman, and such a great invention. Next PostLate to the parkrun party!